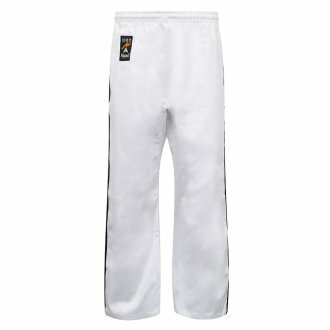 Medium Weight Full Contact Trousers, Suitable for All styles of Martial Arts. Made of 100% cotton. 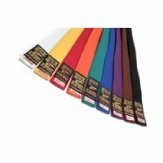 With Elasticated Waist band. Trousers are all white in colour, with to contrasting black stripes on both sides of the trouser.